Ossie’s career to date is somewhat of a microcosm of the London electronic scene over the last decade. Emerging in the buzzing, innovative post-dubstep scene, he released two EPs of broken beat electronica through Kode 9’s superlative Hyperdub, Detroit techno flavours on Lightworks, and then moved into the UK house underground with releases on Wolf Music, 2020 Midnight Visions and his own Super Cali label. His eclectic output and diverse influences make him a vital producer, and this second EP “We Mad” for Exploited after 2017’s “Milk” delivers another three tracks of dancefloor gold. 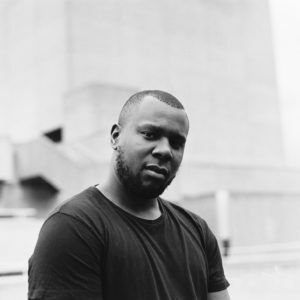 With support for his music from the likes of Osunlade, Laurent Garnier, Axel Boman, Breakbot, CatzNDogs, Benji B, Gilles Peterson and Annie Mac and appearances at Sonar, Lovebox, XOYO and Boiler Room, Ossie is one of the most exciting names in the new skool of house music.